(Serves 4 - 6 guests) Served with your choice of two sides. 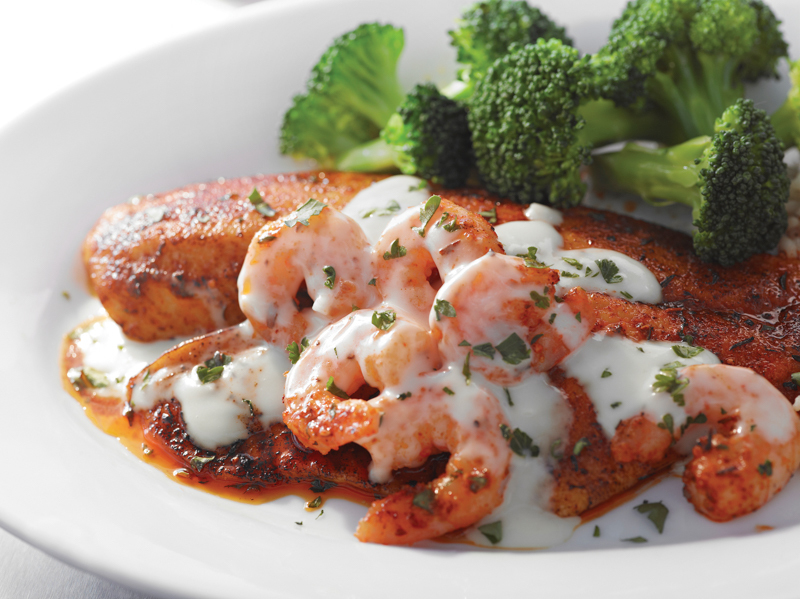 Flavorful, salmon that is lightly seasoned and grilled to perfection. Glazed with hickory bourbon barbecue sauce. Cajun style grilled shrimp served on a bed of dirty rice and topped with spiced lemon butter sauce. Grilled chicken breasts with baby ‘bella mushrooms, bacon, Parmesan cream sauce, and Asiago cheese. Crispy chicken breasts topped with marinara sauce and melted mozzarella cheese. Served with penne pasta.